What is cod liver oil good for? Cod liver oil benefits can improve your health, but it is also risky because of high vitamin A levels. It used to be fairly common for everyone in the family to drink a spoonful of cod liver oil daily. But what are cod liver oil benefits? And what are its risks? Omega-3 fatty acids. Fish, including cod, is one of the major food sources of the important omega-3 fatty acids EPA and DHA. Consuming these healthy fatty acids is associated with reduced risk for conditions like high blood pressure, cognitive decline, and stroke. Cod liver oil is an excellent source of both EPA and DHA. Vitamin D. Unlike plain old fish oil, cod liver oil is also a rich source of vitamin D. Vitamin D is essential for good health, and most of us don’t get enough of it. Vitamin D is good for your bones, heart, brain, and more, helping to prevent things like osteoporosis, dementia, and cardiovascular disease. 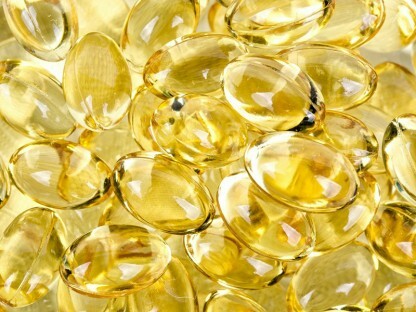 Vitamin A. Cod liver oil also contains vitamin A. 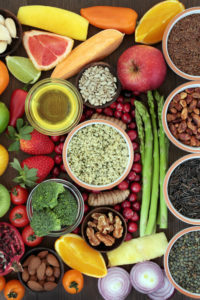 While vitamin A is important for your health (it is essential for maintaining good vision, for example), too much vitamin A can be detrimental. Read more below to learn why excessive levels of vitamin A in cod liver oil can be dangerous. Chiefly due to its high content of vitamin D and omega-3s, cod liver oil benefits your health in numerous ways. Reduce the risk of cardiovascular problems like heart attack and stroke. Despite cod liver oil health benefits, it can also pose a risk to your health because of the excessively high vitamin A content found in many cod liver oil supplements. The maximum intake of vitamin A is supposed to be 10,000 IU daily, but some cod liver oil supplements contain more than that. And some of us already consume a lot of vitamin A in our diets, from foods like sweet potatoes, carrots, and green leafy vegetables. Adding cod liver oil can lead to excess vitamin A in the body. One example of the risks associated with cod liver oil is related to bone health. While the vitamin D in cod liver oil benefits bones tremendously, vitamin A can actually harm your bones. In fact, in one study, women who took cod liver oil as children were 2.3 times more likely to have low bone mineral density than women who didn’t take cod liver oil – an effect the researchers attribute to vitamin A. If you wish to supplement with cod liver oil, its important to pick a brand that doesn’t contain excessively high levels of vitamin A. Carlson’s, for example, provides 850 IU of vitamin A and 400 IU of vitamin D, while other brands can contain thousands of vitamin A IUs per dose. Most cod liver oil pills or supplements have safe levels of mercury, but as with all fish products, it can be contaminated. So be sure to also choose a brand that has been tested for mercury. The benefits of cod liver oil can improve your health, but it is also risky because of high vitamin A levels. What do you think about this dilemma? Do you take cod liver oil tablets? Why or why not? Share your thoughts in the comments section below. J Intern Med. 1990 Dec;228(6):563-8. J Affect Disord. 2007 Aug;101(1-3):245-9. J Am Coll Nutr. 2010 Dec;29(6):559-62. Clin Exp Allergy. 2007 Nov;37(11):1616-23. Scand J Plast Reconstr Surg Hand Surg. 2000 Mar;34(1):15-20. Am J Epidemiol. 2008 Feb 15;167(4):406-11. Neuro Endocrinol Lett. 2009;30 Suppl 1:156-62.
allergy, arthritis, asthma, asthma symptoms, blood pressure, bone, bone health, bone mineral density, brain, cardiovascular, cardiovascular disease, cardiovascular problems, carrots, children, cod liver oil, cod liver oil benefits, cognitive decline, dementia, depression, fish oil, food, good health, health, heart attack, high blood pressure, lower triglyceride levels, mercury, nutrients, omega 3, omega 3 fatty acids, omega 3s, osteoporosis, potatoes, rheumatology, stroke, studies show, supplement, supplements, symptoms of depression, triglyceride, triglyceride 2, triglyceride levels, vegetables, vitamin, vitamin a, vitamin d, wound healing, your bones. is the vitamin A count inclusive of Beta Carotene as well as regular vitamin A? if not what are safe levels of Beta Carotene?